Our all new Pro Power Peel redefines the peel experience. Our strongest and fastest facial peel yet. In this 30min express treatment your skin therapist will create a customised peel to instantly rejuvenate and refresh your skin and target your key concerns. Your peel includes Alpha Hydroxy Acids (AHA’s) and Beta Hydroxy Acids (BHA’s) along with a unique system of 3 different acids for a deep exfoliation to target line lines, wrinkles, pigmentation or breakouts. Dull, dry skin or uneven skin tone – Ultra Bright is an ultra effective brightening peel to reduce the appearance of early signs of ageing and even skin tone as well as hydrating dry skin. Lactic acid, complexed with Phytic acid, Mucor Fungal Extract, grape juice extract and tangerine peel. Ageing or pigmentation – Advanced Renewal is a powerful peel that resurfaces skin to help fight the visible signs of AGEs to minimise the appearance of fine lines, wrinkles and hyperpigmentation. Glycolic acid, complexed with Phytic acid and Optunia flower extract. 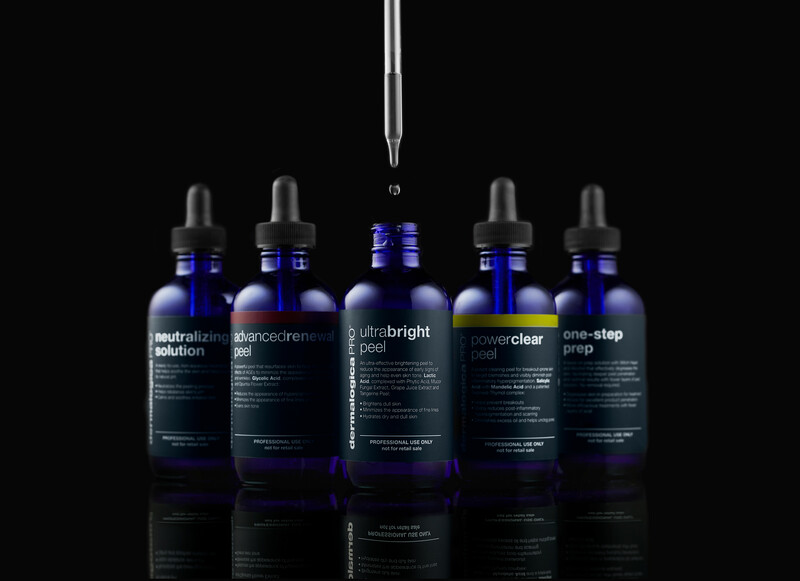 Breakouts and scarring – Power Clear targets blemishes and visibly diminishes post-inflammatory hyperpigmentation and scarring. Helps unclog pores and reduce excess oil to prevent further breakouts. Salicylic acid with Mandelic acid and a patented Terpineol Thymol complex.